Plus, the travel store will have free giveaways available while supplies last. Richard Rawlings will sign autographs of purchased Gas Monkey Garage apparel, including Gas Monkey Garage t-shirts and more. After meeting Richard Rawlings and getting your fill of Gas Monkey Energy Drink, enjoy lunch at Country Pride with a steak burger with cheese, fries and drink, all for only $8. Additionally, TA Terrell has a wide variety of other food options with a Subway, Pizza Hut, and Broaster Chicken to satisfy your appetite. 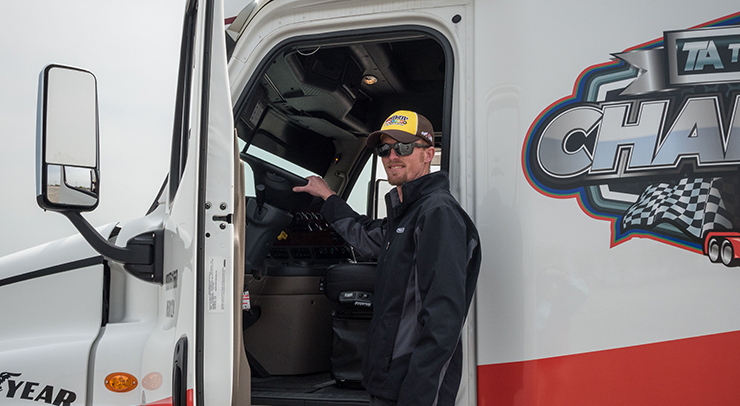 You can enter for a chance to win a set of Roadmaster Steer tires by completing an entry form at the TA Truck Service Tire Tent by 11:00 am on December 13. Supercharge your get-up-and-go. TA and Petro Stopping Centers are the exclusive truck stop home of Gas Monkey Energy Drink. December 10-20, get Gas Monkey Energy BUY ONE GET ONE FREE at all TA and Petro Stopping Centers. 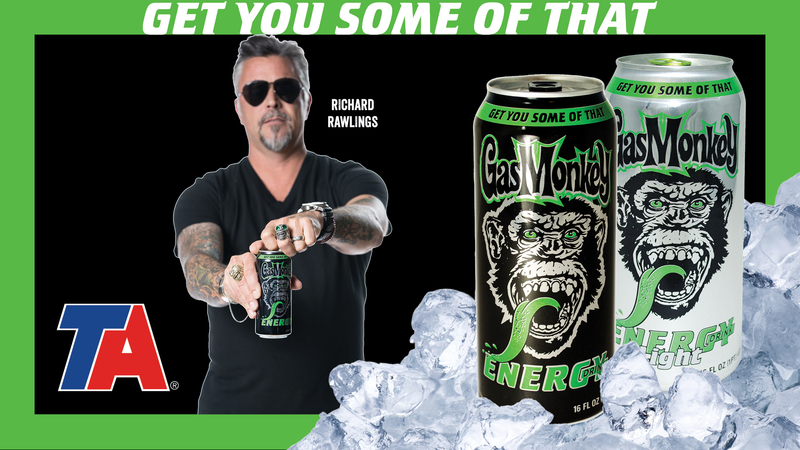 A Richard Rawlings company, Gas Monkey Energy Drink delivers a power punch to your taste buds with no aspartame, no high fructose corn syrup and NO CRASH. Get you some of that today! Richard Rawlings, a Fort Worth, Texas native, is the star from Discovery Channel’s Fast N’ Loud and Garage Rehab. “When Gas Monkey Garage first opened in 2004 the premise was simple: to be the most badass hot rod shop. In just eight years, Gas Monkey Garage got recognition as being just that when Discovery green lit Fast N’ Loud,” said Rawlings. Gas Monkey Garage only starts from whole cars models without too much rust, this sort of philosophy is what led Gas Monkey Garage to be the most badass hot rod shop. Gas Monkey Garage's Richard Rawlings visits TA Terrell December 13, 2018.